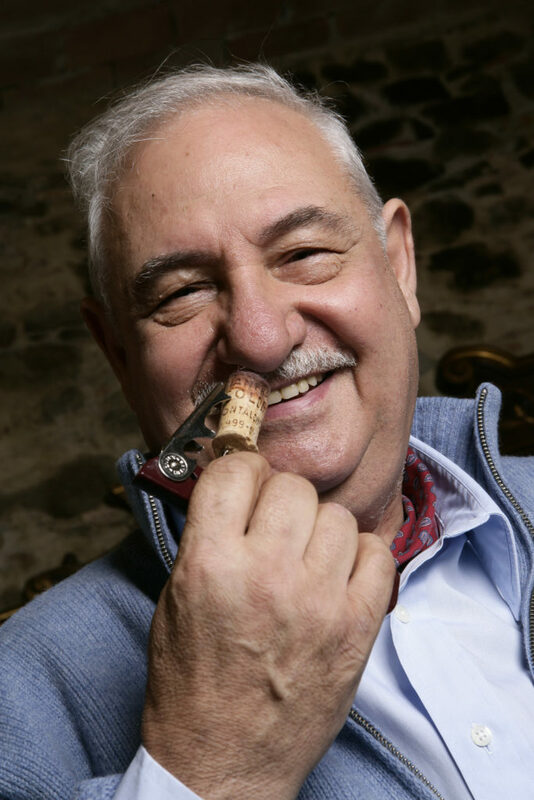 The wine world lost a living legend in February – Gianfranco Soldera of the famed Case Basse estate in Tuscany passed away at 82. I never had the pleasure of meeting him, but there are some wines I’ve tasted where I swear the soul of the winemaker makes it into the glass. Soldera is one of those examples for me. Gianfranco Soldera was known to be a disrupter in the wine world. He established his winery in 1972 and quickly rose to acclaim by the mid-eighties. His dedicated resistance to the status quo of traditional chemical farming may have helped him get there. He instead vigorously championed biodiversity and organic farming in his 23 hectares (almost 60 acres) of forest, gardens, and Sangiovese vines. He was making ‘Natural Wine’ well before the movement thought it ought to be. He was also resistant to the establishment, eventually leaving the local Consorzio in 2013, giving up the esteemed DOCG recognition of Brunello di Montalcino for his labels. Soldera’s story of resistance seems to be a theme in the Tuscan region. Looking back just a bit further in Tuscan wine history, we see a similar spirit with the creation of Tenuta San Guido’s ‘Sassicaia’. Perhaps less outright resistance and more innovation when the Marchese Mario Incisa della Rocchetta experimented in Maremma with French grape varieties in the 1940s. At that time only Tuscan varieties like Sangiovese were the norm. I imagine the precarious timing necessitated strong investments and the value placed on Bordeaux was king. The Marchese’s grandson, Piero Incisa della Rocchetta, told me, “My grandfather did not particularly like Sangiovese, and Bolgheri seemed to be a fit for Cabernet Sauvignon and [Cabernet] Franc.” The Bolgheri area shares similar soils to that of Graves in Bordeaux. To break from tradition at this time would have been jaw-dropping and in fact, it wasn’t very well received. The style of Sassicaia was off-putting to critics that were used to the lighter Sangiovese wines of the time. Subsequently, the wines were not released to the public and only enjoyed within the family. The benefits of longer bottle aging were eventually uncovered by the Marchese and the winemaking process was refined using French barrique- 225 liter barrels. Sassicaia debuted commercially in 1968 under the humble Vino da Tavola, (Table Wine), label and thus, the ‘Super Tuscan’ was born. 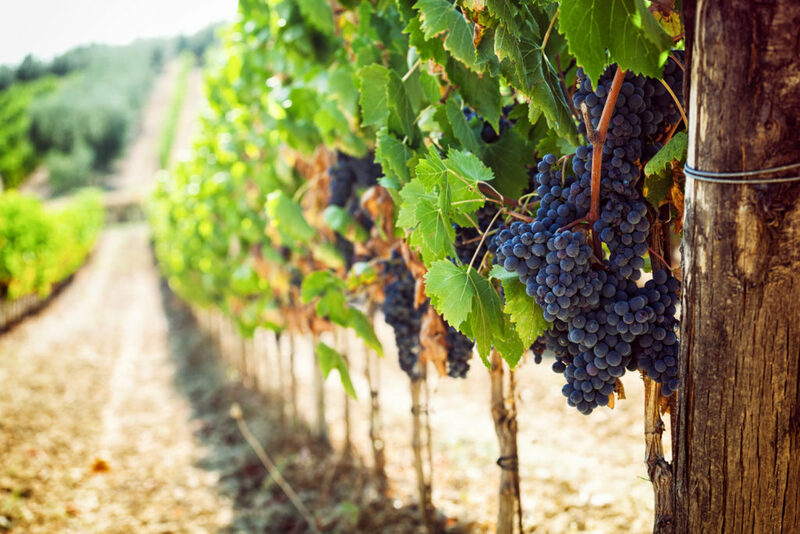 The wines have become so successful that the word Super Tuscan was coined (possibly by Americans) for Sassicaia to define a Tuscan wine using international grape varieties in lieu of the Sangiovese grape and other indigenous varieties. Decades later Sassicaia is the only wine in Italy to be awarded legal recognition as an appellation and as a true monopole titled Bolgheri Sassicaia DOC. The Marchese’s love for Cabernet certainly paid off for Tenuta San Guido, but also for Tuscany as a whole. His nephew, Piero Antinori followed with his own successful bottling of Tignanello. Prices and demand have soared for the Super Tuscan category, with many more estates hitting cult-wine status. Tuscan winemakers didn’t go outside the appellation system just for the freedom to use Bordeaux varieties. In fact, up until the early aughts, the Chianti Consorzio mandated the use of a small proportion of local white varieties alongside Sangiovese for the final blend. In other words, one could not make a 100% Sangiovese wine and call it Chianti, or Chianti Classico. In 1977, Montevertine bottled it’s iconic ‘Le Pergola Torte’ as a 100% Sangiovese wine outside the Chianti Classico designation. At the time it was simply labeled Vino da Tavola, albeit a profound wine. Isole e Olena followed suit with their 100% Sangiovese bottling of ‘Cepparello’ in 1980. In 1992, a new classification of wine called IGT (Indicazione Geografica Tipica) was added as a step up in quality from Vino da Tavola, but more relaxed in regulations than a DOC or DOCG such as Chianti Classico. Today, most ‘Super Tuscan’ wines are labeled IGT Toscana. Italy’s need to constantly breach and then adapt its own appellation system makes it the wild west of European wine law. However difficult to follow, we are left with some great wines. The pioneering energy of the Tuscan winemakers of the ‘60s, ‘70s and early ‘80s has pushed this historic region to international acclaim. Some, more Super than others. 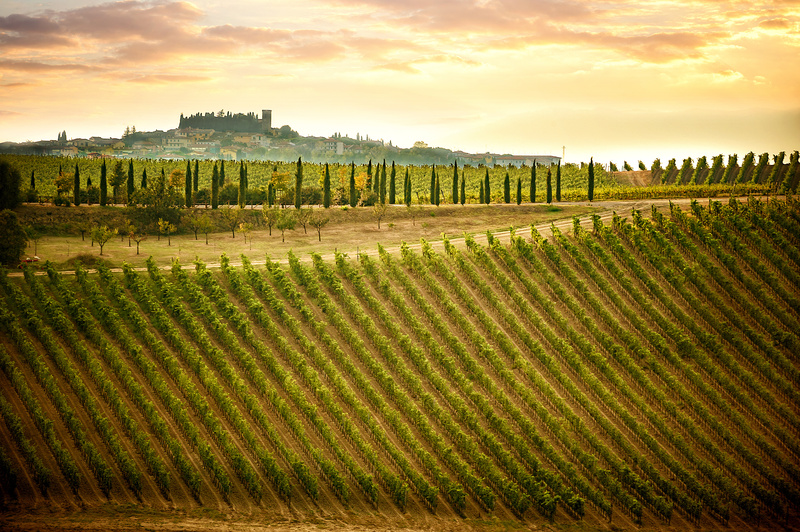 Tuscany truly has something for everyone, from rustic table wines perfectly paired with the local cuisine to high-toned and elegant examples of Sangiovese, all the way torichly textured brooding Cabernets. 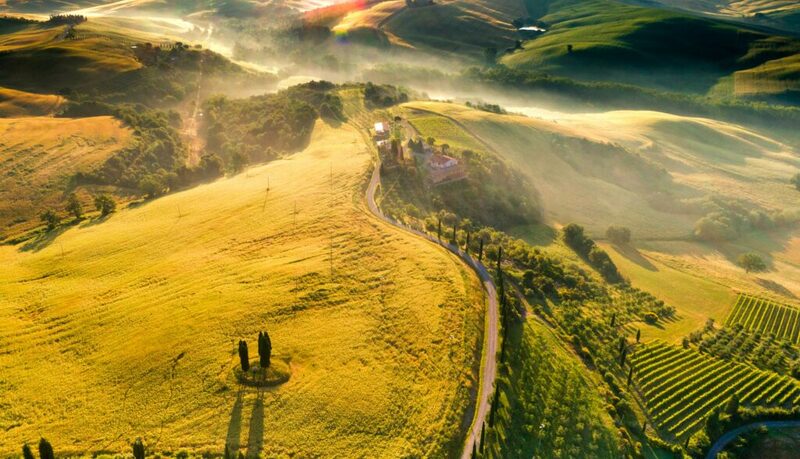 For me, visiting Tuscany was a magical experience that sealed my fate of choosing wine as a profession. I would later learn the stories of giants like Soldera and the Marchese that helped shape the region. I can already see today’s Tuscan winemakers recapturing the courage of their innovative predecessors. So, to those passionate disrupters past and present, my glass is raised to you. Cin! Cin! Editor’s note: Here’s Sabra Lewis tasting Basile Comandante, a Sangiovese and Merlot blend from Maremma in the south of Tuscany that has a bit of a Super Tuscan vibe. 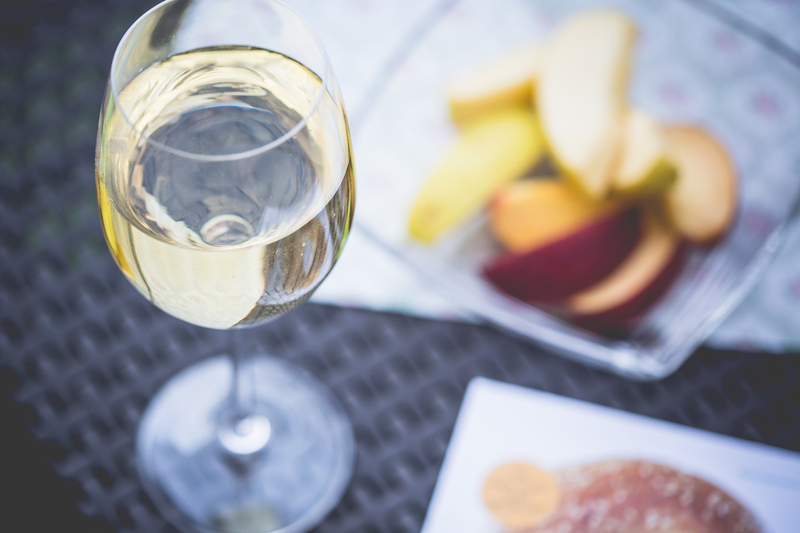 Sabra Lewis is a wine consultant living in New York City. She has a background in performing as a dancer on Broadway and retired to drink wine for a living! Working as a sommelier in Michelin-starred restaurants, penning her own beverage programs, and traveling the world has given her the voice that she has today. 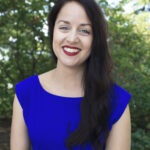 She writes with a sommelier lens and insider view on all things beverage, food, travel and hospitality. Travel is her continuing education and she is delighted to share her adventures with you.